New! 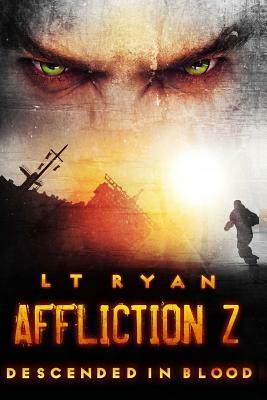 Book Three in the Affliction Z series, by USA Today Bestselling Author L.T. Ryan! Following his reunion with his daughter, Sean is anxious to leave the survivors' camp behind with the few refugees who have joined him. His bunker is only a few miles away, but the path is cut off by a massive horde of afflicted. Their only option: south to Charleston, where Turk and his family are waiting. But Sean's old friend is facing his own set of challenges as afflicted and aggressive survivors do their best to stop him dead. With the leader of the survivors' camp following close behind Sean, and Turk mired in a struggle to find a boat capable of sailing to the Caribbean, will the two friends come together and lead their families to the safe haven in the Exuma Islands?